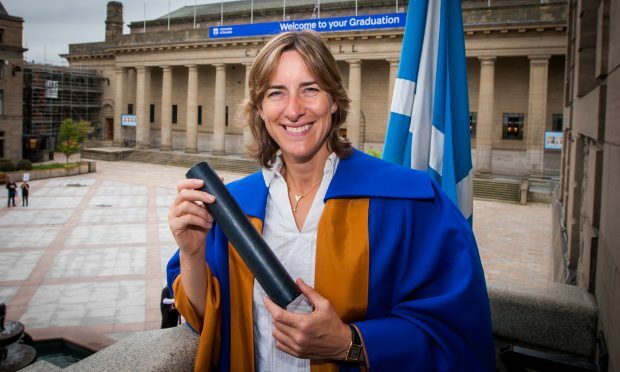 Five-time Olympic medallist Katherine Grainger was handed the accolade for her services to sport and charity, while security agency chief Baroness Eliza Manningham-Buller was recognised for her work with biomedical research charity, the Wellcome Trust. The Glasgow-born star has contributed hugely to improving access to sport, play, and physical exercise for low and middle income families around the world. Speaking at Thursday’s ceremony, she said: “It’s really lovely to be back in Dundee. “I spent time growing up in both Glasgow and Aberdeen so it was an obvious stopping point for us as a family. “I have so many happy memories here, especially of getting on board the beautiful Discovery ship docked at the waterfront. Dame Grainger added that seeing so many students graduate around her brought back memories of her “much loved” student life. 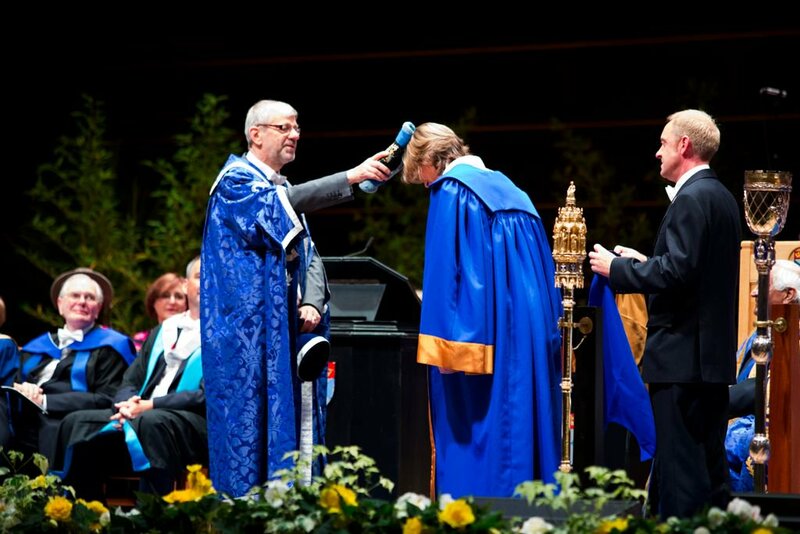 “I must admit I felt sad when receiving my PHD and degrees,” she said. “I thought it would be the last time I would attend university so it feels nice to be involved in a ceremony like this again. “Time at university is just such a lovely period in life and I honestly feel the same as all of them today. “Since Rio in September I’ve been busy doing charity stuff for various organisations I work for in sport alongside TV appearances for the BBC. “I’ve just been given a new job as chair at UK Sport too which is huge for me.